There might be roughly 4.5 million notaries in the United States alone, but finding one isn't always the easiest task. Unless you know a local notary personally or indirectly, or have access to one through your employment, tracking one down can prove challenging. This is especially an issue for rush documents that require notarization at a moment's notice. Notary apps are setting out to help solve this dilemma. Now, just as you use your smart device to pay for your morning coffee or hail your taxi, you can also have your documents notarized, all from the comfort of your home. As you can imagine, this innovation is changing the notary game in more ways than one. Let's take a look at some of the ways these new digital apps are shaking up the industry, and what we can expect to see in the future! Let's start at the beginning. Just what is a notary app, and how does it work? Put simply, a notary app allows you to scan the documents you need notarized, then connect into a video chat with a certified notary public, who can notarize your documents on the spot. In 2012, Virginia became the first state to allow documents to be notarized remotely. This became official via the state's Senate Bill 827 and House Bill 2318, which permitted notarization via Audio/Visual (A/V) technology that connected users to notaries public. Now, everything from deeds, and trusts to school permission slips and affidavits can be notarized via online apps, totally transforming the search for your local notary. 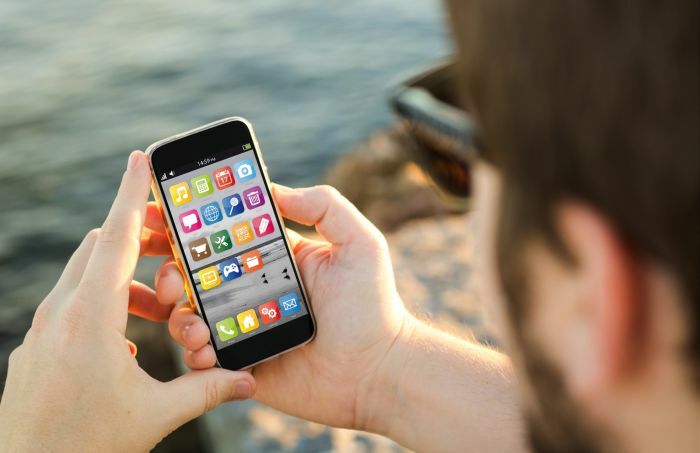 So just how are these apps affecting local business, and what's on the docket for the next few years? Let's dig in! While a local notary now has greater access to the clients he or she serves, it's important to note some of the ways that notary apps are changing the business landscape for these professionals. Simply referring to the notary handbook isn't enough anymore to ensure legalities are upheld. Rather, these apps bring with them an entirely new set of considerations and points to remember to ensure client protection and confidentiality is maintained across the Internet. Ensure all devices are secured. This may be done via a PIN number, password, or a fingerprint. It's important to make sure that no one but you can access your phone, as you could be communicating highly sensitive information via your device. Adhere to all local and national laws. App developers may be fluent in the local notary laws of their own state, but fail to consider every implication of every law in all 50 states. Many of these laws are buried within somewhat-obscure state laws that can be difficult to find and track. That said, it's important to stick to what your jurisdiction allows when utilizing notary apps, and not assume that every action the app makes possible is appropriate to you and your clients. For instance, even if your app allows you to record conversations or store document images, your local laws might not permit that function. Keep in mind that just because it's available, doesn't mean it's allowable. Did you know that one in five Android apps has malware? Before you click the "download" button, make sure the application is legitimate. Check out reviews and do your research. Also, remember to check the app's permission policy. You might be sharing more information than you need to, which could lead to severe legal consequences. In some regards, new local notary apps are changing the customer relationship game for the better. With instant access to the audience they're trying to reach, local notaries now have a greater opportunity for networking. Now, notaries don't have to depend on word-of-mouth or local connections to generate business. Clients can simply log online. Then, they'll be connected to the notary they need. By utilizing these apps, notaries can make themselves more available -- even being "on call" 24/7 if they desire. Yet, what these apps make up for in convenience and increased business, they often lack in personal connection. The reality is that there's no app, no matter how advanced, that can replace a one-on-one conversation. For instance, this is especially evident in foreign language interactions. If your local laws prohibit you from notarizing a document in a foreign language, you'll need to communicate this to your customer. In person, you can use hand gestures, tone, and expressions to help get your point across. On the other hand, if you're trying to make this claim via an online app, there are several virtual translating tools you can use to do so. However, these tools are not 100% accurate and might not convey your message as accurately as you would have hoped. In this case, personal connection is the missing link, as speech-to-text translators can be difficult to rely upon. The Internet of Things continues to proliferate almost every industry. Thus, apps designed to make notarization quicker and more efficient will no doubt continue to grow. A focus on mobile optimization will likely dominate, as more users are deploying apps with their cell phones and other mobile devices. In fact, statistics show that 51% of users access their digital data via their mobile device, compared to 42% who use their desktop. Advancements in webcam technology also mean that video chat functions available through some local notary apps will only become more sophisticated. In the meantime, if you'd like to connect with a notary, or if you're a notary looking to plug into your professional community, we'd love to help. We offer search capabilities, listing solutions, online tools, and much more. Click here to find the notary nearest you, and be sure to browse our blog for the latest industry topics. If you have any questions, feel free to contact us or leave a comment below to join the conversation!